The Gleaner said Bennett decided to start a foundation after working with another deaf model named Britney Barnes. Bennett rose to the challenge of learning sign language in order to communicate with Barnes. 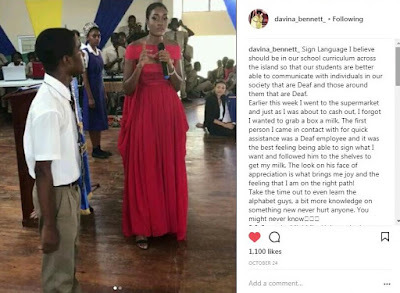 The newspaper said, "It was a challenge at first, with Bennett not having any knowledge of sign language, but she was fascinated by Barnes' determination to strive through her disabilities, and was encouraged by her friend Jermaine Dyer to start a foundation for the deaf." In a statement shared on Instagram, Davina Bennett said she would be working more on her foundation. She also said that we would see more of her, and I agree! 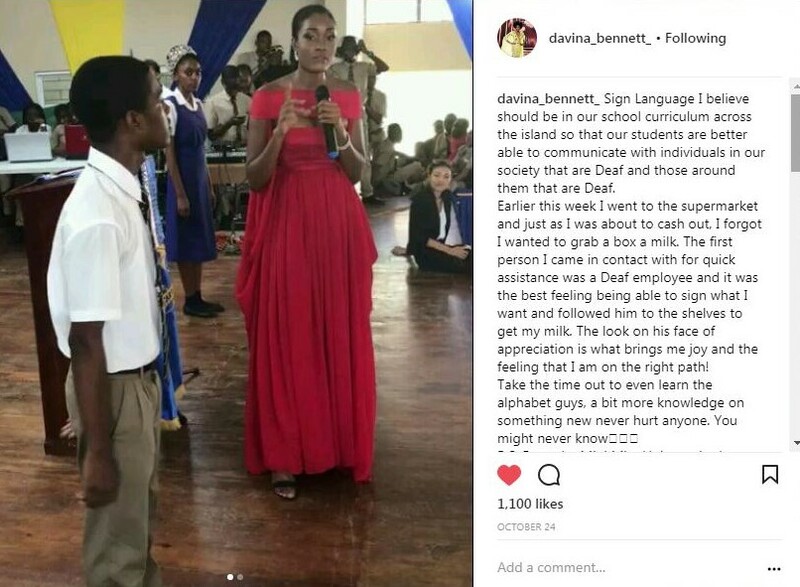 Kudos to Davina Bennett! We see you, girl! You're #1 in our hearts! Did you watch the Miss Universe pageant? If so, what did you think of Davina Bennett?